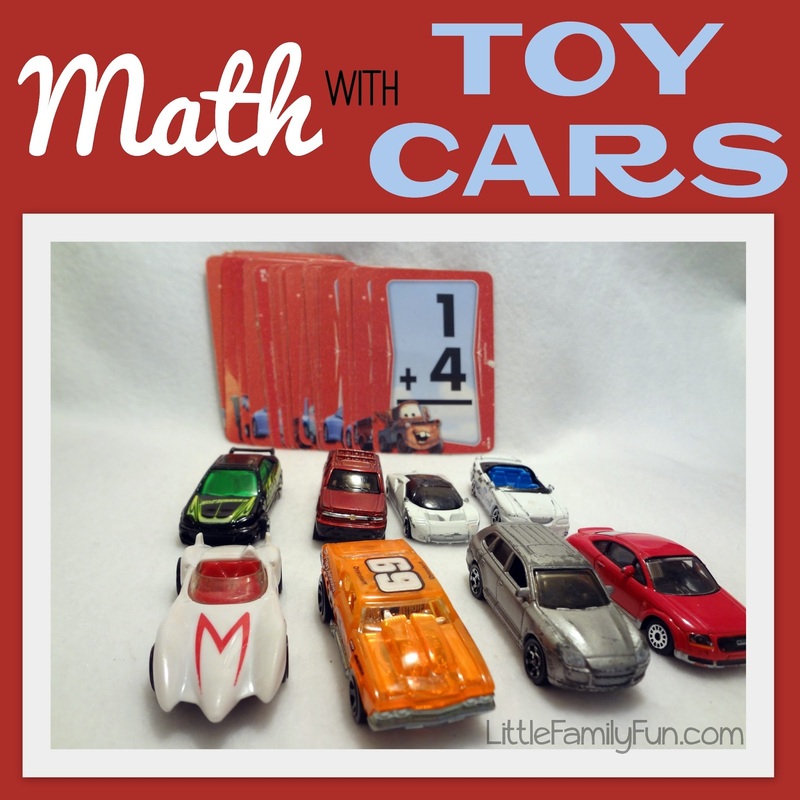 Little Family Fun: Math with Toy Cars! Here is a simple way to learn basic math skills: use TOY CARS! Find addition flashcards (These ones are perfect! ), or just write simple addition problems on pieces of paper, or a dry erase board. Gather up a handful of toy cars. OR you can use any other small toys your child has several of.